Uptick comes despite government shutdown. Analysts are predicting that January new vehicle sales will be up compared with last year's results. 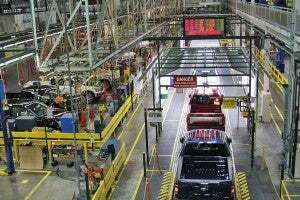 Automakers and analysts alike have predicted that new vehicle sales in the U.S. for 2019 will be lower than they were in 2018. Of course, we now know they were happily wrong, and the early predictions have 2019 ahead of last year’s sales pace. Edmunds predicts that 1,169,804 new cars and trucks will be sold in the U.S. in January for an estimated seasonally adjusted annual rate (SAAR) of 17.2 million. This reflects a 28.1% decrease in sales from December 2018, but a 1.3% increase from January 2018. 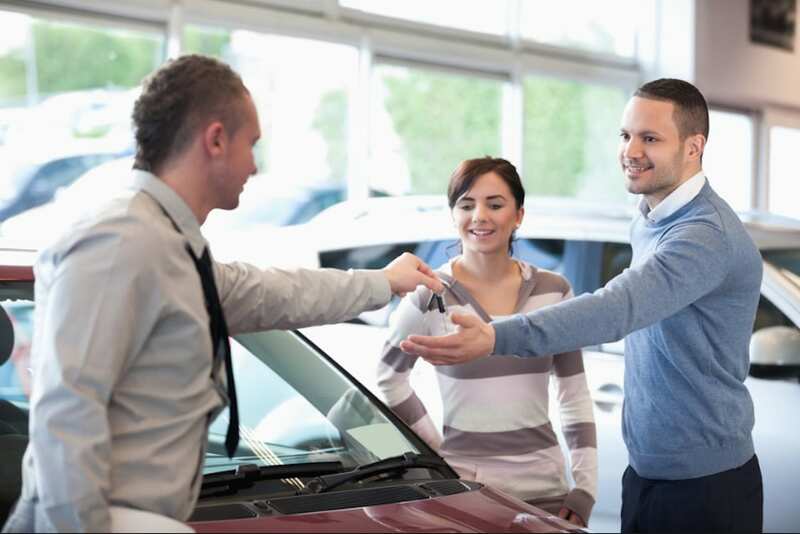 “January’s sales strength shows car shoppers are still feeling optimistic, even in the midst of the government shutdown and talk of a slowing economy,” said Jeremy Acevedo, Edmunds’ manager of industry analysis. New car sales are expected to fall in 2019 as incentives used to draw in buyers in 2018 continue to disappear. Edmunds estimates that retail SAAR will come in at 13.9 million vehicles in January 2019, with fleet transactions accounting for 19.7% of total sales. An estimated 3.1 million used vehicles will be sold in January 2019, for a SAAR of 39.2 million (compared to 2.7 million — or a SAAR of 39.7 million — in December). Ford is predicted to be the early benefactor of better-than-expected results. The website believes that the Dearborn, Michigan-based automaker will sell 178,904 vehicles this January. It’s an 11.5% jump over last year’s first month, which saw 160,411 units roll out of Ford showrooms. Other automakers that are expected to eclipse year-ago results include: Hyundai/Kia (6.9%), Honda (6.5%) and Fiat Chrysler at 2.9%. Conversely, Nissan (15.2%), Volkswagen/Audi (8%), General Motors (2.6%) and Toyota at 2.4% are expected to decline. 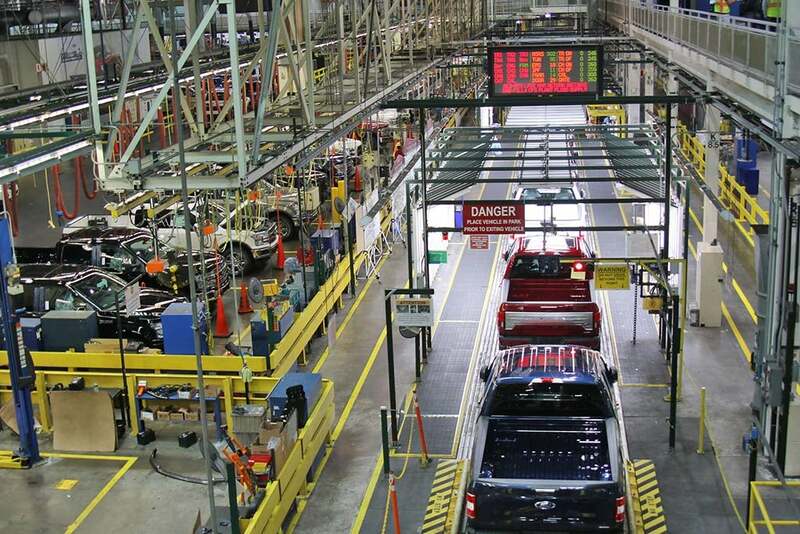 The Rouge plant produces a new F-Series pickup, on average, every 53 seconds. And Ford is carrying that to a strong January, in terms of sales. Edmunds isn’t alone in its rosier-than-expected prediction. TrueCar’s ALG projects total new vehicle sales will reach 1,157,796 units in January, up­ 0.3% from a year ago. This month’s seasonally adjusted annualized rate (SAAR) for total light vehicle sales is an estimated 17 million units for the month. Excluding fleet sales, U.S. retail deliveries of new cars and light trucks should increase 0.8% to 941,218 units. This entry was posted on Friday, January 25th, 2019 at and is filed under Automakers, Automobiles, Business, Markets, Monthly Results, Personalities, Sales, Sales, Trends, U.S./North America. You can follow any responses to this entry through the RSS 2.0 feed. Both comments and pings are currently closed.